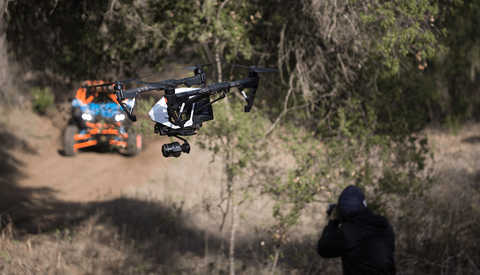 It's not exactly a secret that Casey Neistat loves drones. And so, when you've explored all the glorious facets of flying a drone from the ground, what do you do next? 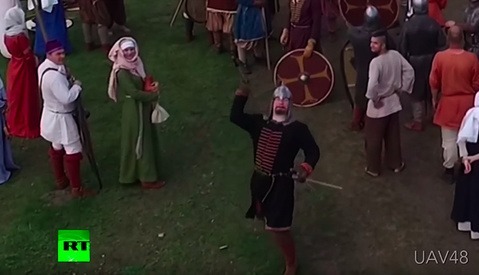 You let the drone fly you, naturally. If you remember when Neistat took to the streets of New York to be towed on his snowboard by a Jeep, you'll appreciate just how much this one-ups that video. Using an enormous drone that took a year to build, the result was a monster 10 feet in diameter, weighing 165 pounds, using 16 batteries and 16 propellers. That's right: it's a hexadecacopter, one with the lifting capacity of approximately 350 DJI Phantom 4s. And boy, did Neistat put that lifting power to good use, heading to Finland for four days to film this awesome video. While I seriously doubt this custom-built drone will ever see the commercial market, you can bet I'll be taking out a loan to get one and hit the slopes if it ever does become available. When else have you seen someone snowboard up a hill? The entire video took a huge team effort with a lot of logistical considerations to overcome, so be sure to also check out both behind the scenes videos below! 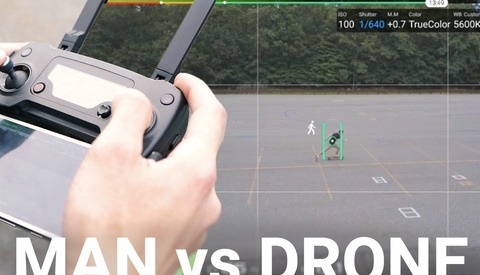 Man vs. Drone: How Good Are DJI's Intelligent Flight Modes? This guy is just Amazing. Hanging of Helicopters in Hollywood, hanging of Drones in Finnland... whats next #caseyneistat? The real deal James Bond / Mission Impossible - Hanging of an Flying Airplane? It seems Samsung threw a lot of money at this and I'm not sure why other than to promote their 360 camera and this video doesn't make me want to go out and buy one. I was expecting a lot more from Casey since he quit daily vlogging and was hoping for something like his "Make It Count" video, but it appears his only goal is to go viral. He went skiing behind a jeep in NYC last winter, water skied down a canal in a tux this summer and now this. Maybe he's out of ideas? You don't know why Samsung would throw money at this when it includes a guy with 6 million youtube subscribers? seems pretty simple to me. They've worked with casey many times before. I don't think casey needs to go viral, he's already doing pretty damn well. He does things because they interest him and are fun. I'm quite aware of his success, I've been following him since his HBO show. Samsung wasn't even mentioned or featured in the video until the end. I know he has a 360 video coming out soon, so we'll see how that does. Much like their phones, they have lots of money to burn I guess. Don't buy one. I got one and it is horrible. The photos are 2010 point and shoot quality. You can really only edit the video on next gen Samsung tablet or phone. I was told any galaxy device would work, nope. Only Galaxy 7 can download the proprietary editing app. The video is pretty lackluster too. I haven't had much desire to watch too many things in 360 just yet. This was too much fun to watch!! !